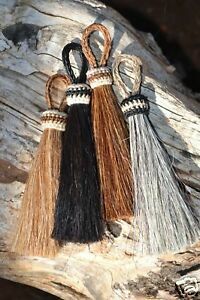 Details about 100% Natural Horsehair Bridle Breast Collar Tassels- 3"
100% Natural Horsehair Bridle Breast Collar Tassels- 3"
Great item, arrived VERY fast!! Thanks! Thank you. Exactly as described. Very nice & fast shipping!